← How I Single-Fingered-ly Became the World’s Worst Secretary! Great poem!! and the feeling I know it so well…. Linda you really need to learn how to work your comments! Stopping at every floor to the 24th floor! At some poiint you probably wanted to get out and take the stairs! Or better yet, make that naughty litttle kid take the stairs AND his parents! HA! Brilliant! I’d ask the rest of the people with me on the elevator what they thought of it, but they look like they just want to be left alone. Ha! You are correct sir! 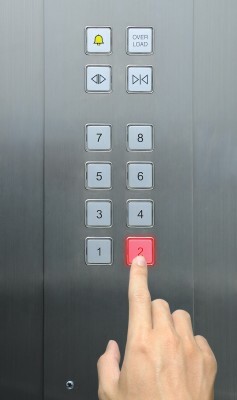 Of all the places I ever go, the most isolating one is the elevator. WHY? Does everyone expect ,”The Slasher” to get on at the next stop? Love it! Clever use of repetition. It makes it feel like being on an elevator or like being schizophrenic! haha! best way to break tension on an elevator? brings smiles every (okay, MOST of the) time. So true, so true. I love the repetition. Glad you liked it! And thanks for coming by LetMeStartBySaying! I want an ‘alone’ button at home, please. It IS awkward sharing a full elevator with people who won’t talk.